New and Used Cars for Sale | Omaha’s Only Baxter Toyota Dealer! 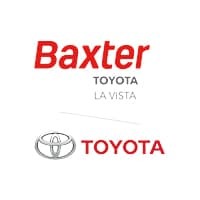 Baxter Toyota La Vista is proud to provide Nebraska drivers with an excellent car-shopping experience when they choose our Toyota dealership in La Vista, NE. Whether you want to buy a used Toyota, lease a new Toyota, service the vehicle you currently own or discuss your auto financing options, we’re here to help. Baxter Toyota La Vista is a locally-owned, full-service Toyota dealership that’s served the Omaha area for more than 20 years. No matter which Toyota model catches your eye, our dealership will help you get the keys to your dream car. Peruse our new Toyota inventory to learn more about ever-popular models like the Toyota Corolla, Toyota RAV4 and Toyota Prius. Looking for a like-new car at a used-car price? Browse our used Toyota inventory to drive home in a used Toyota Camry or Toyota Highlander. We also have used cars of other makes and models, so you have plenty of options to choose from. When you’re ready to lease or buy a car, our Toyota financing professionals will help you secure an auto lease or loan that fits your budget. Don’t forget to keep up with routine maintenance and Toyota repairs at our Toyota service center. With experienced Toyota technicians on staff, the team at Baxter Toyota La Vista knows your car inside and out. You can feel confident that we’ll complete repairs in a timely manner and have you back on the road as soon as possible. Feel free to order OEM Toyota parts through our dealership as well, and check out our current Toyota specials to save money on service and parts on your next visit. Visit Baxter Toyota La Vista, conveniently located at 7204 124th Cir in La Vista, NE. It’s easy to reach Baxter Toyota La Vista from nearby cities like Omaha, Papillion and Bellevue, plus we welcome Toyota fans from Iowa to explore our inventory.